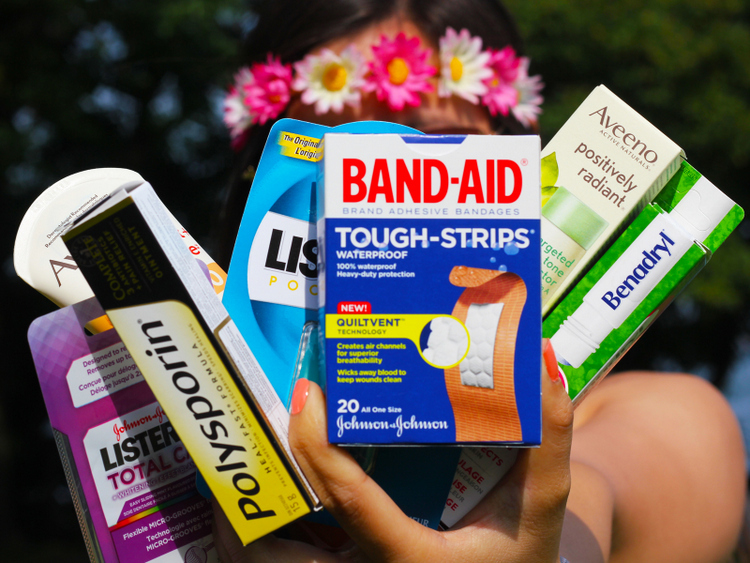 This post is sponsored by Johnson & Johnson inc.
Festival season is blooming on the summery wind. There are stages being set up, instruments being strung, faces being warmed by the sun, and feet are moving like bumble bees from flower to flower and from song to song. I love this time of year - more than Christmas or the bells of a birthday morning, give me music and sunshine with the ones I love most. 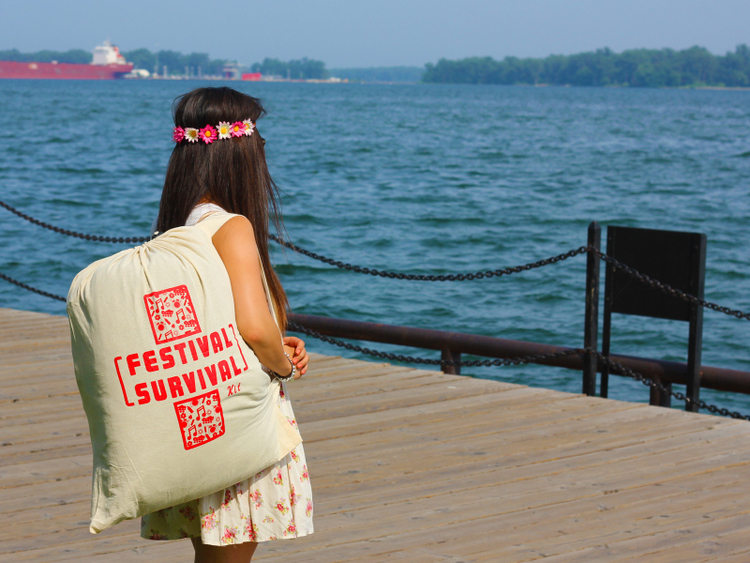 Festival days are meant to be happy. You put your hands in the air, running from stage to stage, the sun beating like a heartbeat against your skin, it's all beautiful and joyful until you're left with a dreadful sunburn or chapped lips from singing. 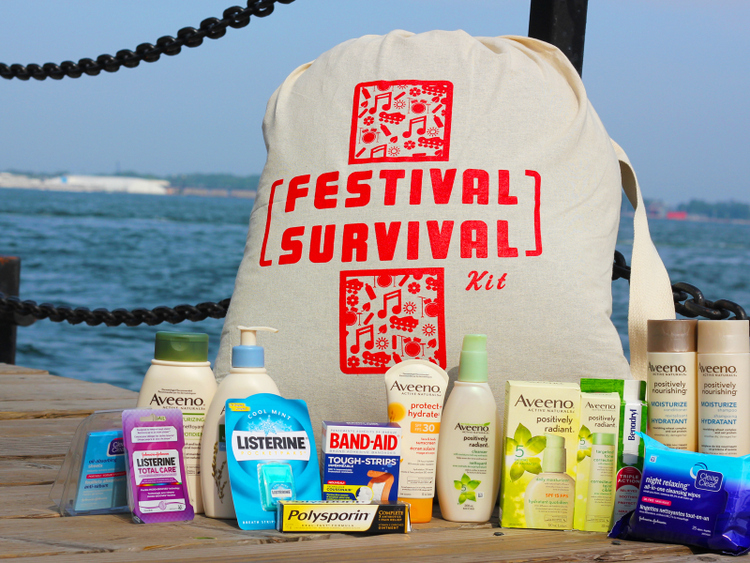 To help one lucky reader feel festival ready, I've teamed up with Johnson & Johnson Inc. to offer you a chance of winning your own festival kit filled with $200 worth of necessities like Aveeno's protect and hydrate SPF 30 (a sunscreen to protect your skin), Brand Bandages (to help heal wounds or blisters and get back to dancing), and Clean & Clear oil absorbing sheets (to help free your skin from excess sweat since you'll be grooving and moving in the warm sun all day). For your chance of winning your own festival kit, follow the rafflecopter app below. Contest is open to all Canadians aged 18 and over (excluding Quebec). Winner be selected at random on Thursday, July 30th. The winner will be required to provide their contact information, sign a release, answer 3 questions related to Johnson & Johnson Inc. products, and answer a mathematical skill-testing question in order to receive their prize. I would choose Florida Georgia Line. Such an awesome idea. Those are all essientials for sure. I would pick Serena Ryder! I would love to see Drake! I would love to see Nickleback,I love them! I would like to see Blake Shelton. So I'm settling with some great local toronto bands at Camp Wavelength next month! I'd love to see Lady Antebellum! I would like to see willie Nelson ! Great kit & contest, thanks for the chance! I would love to see Mathew West at a festival. I would like to see U2 at a festival because why not? I would love to see The Tragically Hip at a festival. I've seen them live several times but never outside with the festival vibe. I am loving Sam Hunt so I'd choose him! I would just LOVE to see Tim Mcgraw!!! Im Old school and would love to see U2 at an outdoor festival! Id love to see the broods! Would love to see Walk Off the Earth for sure. Love them....enjoy watching their cover videos as well. The Tragically Hip would be pretty awesome! I would like to see Johnny Reed. I would love to see Ed Sheeran!!!!! I would love to see No Doubt. We try to make it to the Voodoo music festival every Halloween in New Orleans! Pink Floyd or Steely Dan! I would love to see Night Ranger.